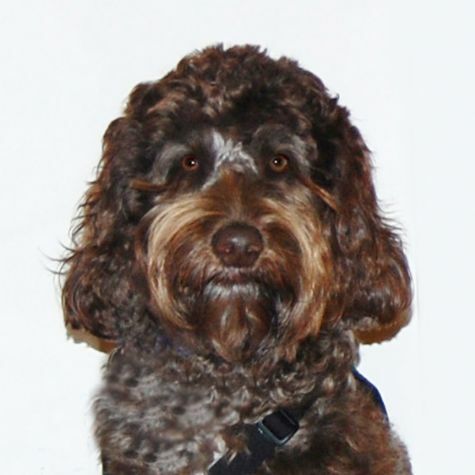 Maddie is a medium-size Australian Labradoodle who comes from a long line of therapy dogs. She joined our family when she was a puppy, and we began socialization and obedience classes right away. She is joyful, full of energy, and super soft and fluffy. She loves to go on long walks along the beach and play Frisbee in our backyard. It's so fulfilling when we do our Love On 4 Paws visits and we hear comments like, "You just made my day" or "I was sad before you came, and now I feel happy."